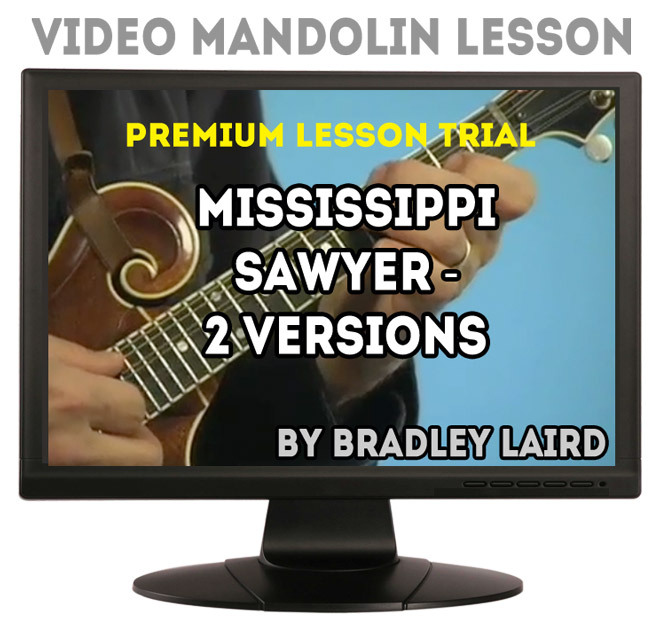 Mississippi Sawyer - This video lesson is a free (or whatever you choose to pay) lesson to give you a taste of my teaching style, to let you try out the download process, and so you can see what all typically is included with my video lessons. This lesson also teaches some really cool "jazz chords" which can be used for backup in the style of mandolin great Jethro Burns. The lesson is a good tool for learning to play diminished chords and triplets. Have fun with the lesson. If it is over your head it will give you something to work on in the future and will give you a taste of my intermediate lessons. If you are beginner you might want to start with something easier like Beginning Mandolin 1, 2, 3 etc. Take care and have fun with your mandolin!